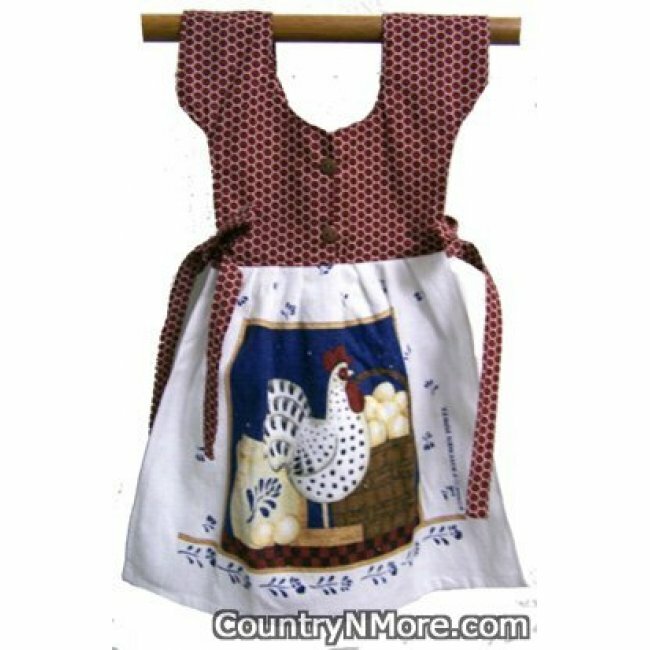 This country theme oven door dress has an adorable chicken and eggs on the towel. Towel has coutry red chicken wire fabric with brown buttons.This towel is designed to hang over the oven door handle, and will be handy the next time you need to dry your hands. I have designed this item to have fabric ties, which are more durable than the ones which are made with ribbon. Two buttons finish off the bodice rather nicely.